How can I increase traffic to my blog? 5 Foolproof Tips! There are more than just a few people around the world who create their blogs with lots of enthusiasm, only to realize after a few days or weeks that nobody has visited them or read their contents. 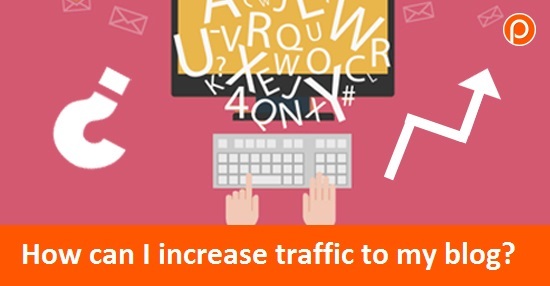 And it is then that we ask ourselves the decisive question: “how can I increase traffic to my blog?” You’re in luck because that’s precisely what this blog post is about! Today I will share with you 5 foolproof tips to multiply the number of visits to your blog and improve the reach of your content. Here we go! When people ask “How can I increase traffic to my blog?” they rarely stop to consider the fact that not all traffic is good traffic. What I mean is, the quality of your audience will largely depend on the goals of your blog, and to whom your content is directed to. Which means that defining these points will allow you to determine which channels are more promising for circulating your articles. Consequently, I suggest that you establish the characteristics of the traffic you need, from the goal set you have defined for your blog. This is the first step you need complete so that you can later guide your decisions for the diffusion on social networks and digital marketing. What’s more: you need to establish a schedule of the content that your blog posts will be about. Remember that knowing your audience is the only way to provide articles relevant to their interests. Once you have defined who your public is, the time comes to go look for them. Yep! It’s not enough to publish a bunch of awesome articles if you’re trying increase traffic to your blog, you also have to actively promote it. So ask yourself, where is the ideal place to find your audience? I bet you already know the answer: Social Networks. There are some very effective techniques to help your articles reach online audiences and be promoted on social media. One of them is to add Social Buttons to your blog. 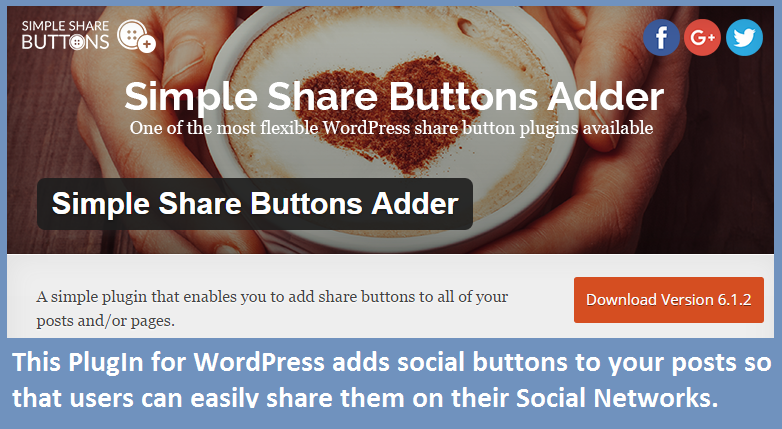 For example, if your site is hosted on WordPress, I suggest using this plugin for users to share content with your contacts. 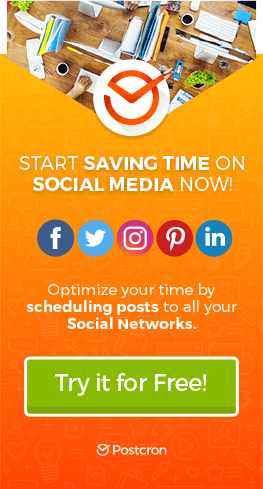 We also recommend scheduling posts with links to your articles to appear on social networks at all times of the day. In addition, I suggest adding links to your blog on all your social profiles. 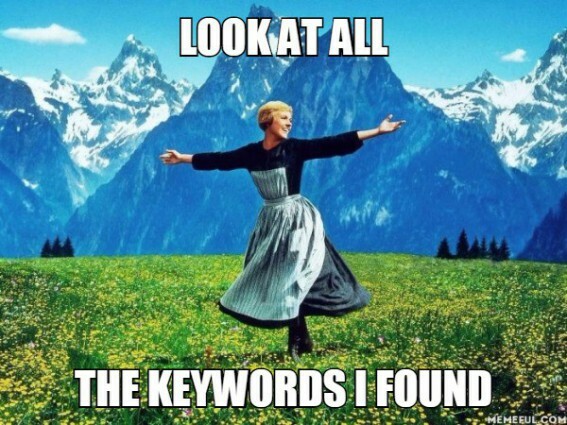 As we’ve explained in previous posts about improving your SEO ranking, keywords are critical when it comes to reaching your audience. Why? Because they help you position your content on search engines like Google. The idea is that the keywords used in your articles correspond to the most commonly used search terms by users, so that your articles are the first thing they see after entering them in the search engine. To help you with keywords, I suggest checking out Google Keyword Planner. It is a search engine for keywords, through which you can enter a number of alternatives, such as “clothing stores in Madrid” or “Madrid clothing” to see which has more search volume. After conducting the search you can include the most popular keyword in your article (especially in the title, headings and “Alt Text” of the images you use). This will help improve your positioning and thus increase your number of visits to your blog. Are my articles useful, or fun? Do I speak about topics of interest to my users? The last question is especially advisable for people whose blogs promote products or services. In this regard, it is important to remember that no one likes to hear about the same thing ALL the time, so expand your repertoire! You can find the topics that interest your audience through tools like Buzzsumo. Also, you can add other very effective elements to your articles to grab the attention of the public, such as computer graphics and animated GIFs. Finally, I recommend reviewing the design of your blog, to make sure it is easy to navigate. To achieve this goal, try ordering your content into clear categories and offer easy-to-understand menus. In addition, at this point it is important that you consider optimizing your blog for mobile readers, since not only more and more people are connecting from these devices, but it’s also the only way to show your blog on Google search results done on phones and tablets. 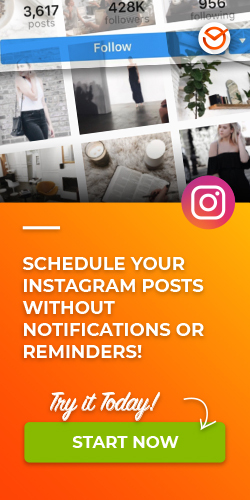 Also, be sure to include links to your social accounts on your blog, so that users can easily follow you on Social Media. Alongside this, you must not forget to place a subscription box for visitors to be able to enter their email and be notified of your publications. This will also help you generate a database for future campaigns. Finally, remember to use attractive images throughout your site. In conclusion, if you’re one of the many people who wonder daily “how can I increase traffic to my blog?“, I recommend that you apply the 5 tips I’ve shared with you in this post. That way, you can optimize SEO, diffusion, content and the design of your site, all of which help you multiply your number of visitors.